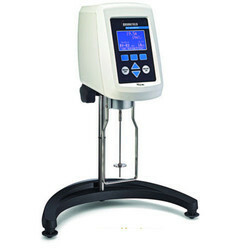 Providing you the best range of dv1 brookfield viscometer, dv2t brookfield viscometers, ku-2 brookfield viscometers for paints, brookfield high shear cap-2000, pvs rheometer and elcometer 2250 krebs viscometer with effective & timely delivery. 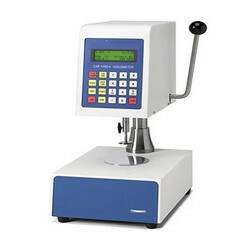 Our low cost continuous sensing Digital Viscometer now with timed measurement functionA continuous sensing capability for rapid viscosity measurement makes this economical digital viscometer a standout. 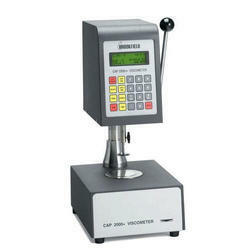 Measures viscosity and temperature simultaneously (with an optional temperature probe). With its timed measurement function, data can easily be sent to a PC or printer. Optional software allows the DV-I Prime to collect, analyze and record test data. Each of our standard Laboratory Viscometers/ Rheometers are supplied with an internal spring used to calculate the viscosity of a material. LV is for low viscosity materials and can measure the “thinnest” materials. Typical examples include inks, oils, and solvents. The new user interface provides enhanced security with customizable user levels password access to comply with regulatory requirements such as 21 CFR Part 11. Accuracy +/-1% of full scale range. Reproducibility +/-0.5% of full scale range. Brookfield offers a completely digital calculating Krebs Unit Instrument with all the reliability you'd expect in Brookfield instrumentation, now with relative centipoises display. The displayed reading can be held by depressing the HOLD switch at any time. 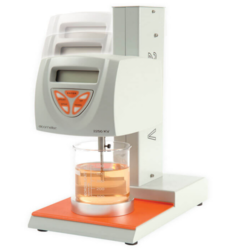 With the viscometer in the HOLD configuration, the display may be switched to compare the Krebs unit (KU) reading with the associated gram (gm) reading, and centipoise. Brookfield Oil Viscosity Standards in Krebs units are NIST traceable and are recommended for verifying calibration of the KU-2 Viscometer. Cone Plate System that's perfect for Q.C.Brookfield's CAP-2000+ offers expanded temperature and viscosity ranges with variable speed capability. 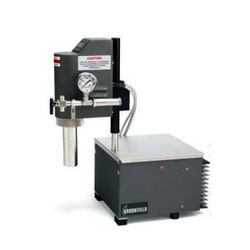 The CAP2000+ now offers lower shear rates, making it suitable for many applications where small sample volume and good temperature control are necessary. And the rugged, easy-to-use design make it perfect in environments where other instruments won't last. Designed for use in accordance with National and International Standards - the Elcometer 2250 is ideal for both process control and quality assurance. 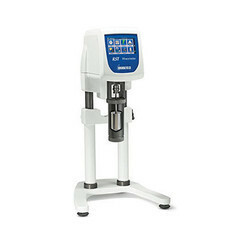 The Elcometer 2250 offers users both an automatic or manual Krebs viscosity test. The unit has a fixed spindle speed of 200rpm and displays the viscosity value on screen in Krebs Units (KU), Grams (g) or Centipoise (cP). The Elcometer 2250 has two operating modes; ‘Automatic’ and ‘Manual’. Automatic test - ensuring reliability and consistency of results - ideal for repeatable and reproducible testing. 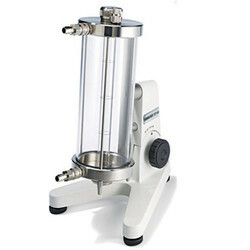 Once the sample beaker is positioned on the support, and the ‘Start’ button is pressed, the drive head automatically moves down until the spindle reaches the correct position within the sample. After a pause to let the sample settle, the Elcometer 2250 begins the test and displays the viscosity value. Once the test has been completed, the head automatically returns to the start position allowing the sample to be removed. 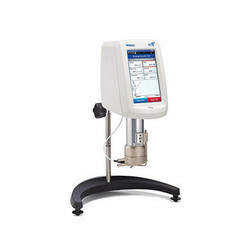 The Elcometer 2250 can also be used manually - ideal for measuring non-standard sample sizes. 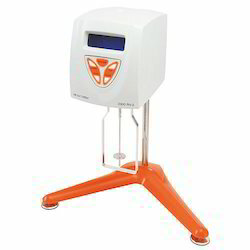 A 7-inch full color touch screen conveniently displays all test parameters along with measured values for yield stress, viscosity and temperature. On screen graphing shows real-time test data which can be captured in stand-alone mode, recorded on a printer or sent to a PC. Built-in math models, such as Power Law, can provide rapid data analysis for flow index and other selectable variables. Quick, straight-forward, single point viscosity is also easily accomplished with the DV3T making it the ideal "all-in-one" instrument for busy QC labs as well as demanding R&D departments doing comprehensive flow behavior. The DVE combines economy and ease of operation with traditional Brookfield excellence to provide reliable viscosity readings. Easy to use interface allows operators to change test parameters easily and test like a pro no time. LV is for low viscosity materials and can measure the â€œthinnestâ€?? materials. Typical examples include inks, oils, and solvents. The "EXTRA" … combines the versatile viscosity testing capabilities of the DV2T with a durable and easy viscosity measurements suspension system, EZ-Lock Spindle Coupling, Quick Action Lab Stand and free RheocalcT software. It features a 5-inch color display to guide users through test creation and data gathering for fast and easy viscosity measurements. The DV2T Extra also offers powerful new programming capabilities and results analysis including data averaging and QC limits with alarms. User instructions with multi-step test protocols can be created using the new Program Generator Software and uploaded to the viscometer through a USB Flash Drive (both included with instrument). Test Data can be recorded directly on a local printer or sent to a PC. The new user interface provides enhanced security with customizable user levels password access to comply with regulatory requirements such as 21 CFR Part 11. 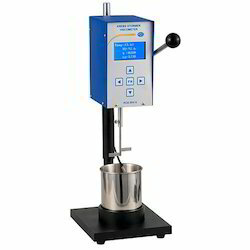 The PFT Powder Flow Tester delivers quick and easy analysis of powder flow behavior in industrial processing equipment. 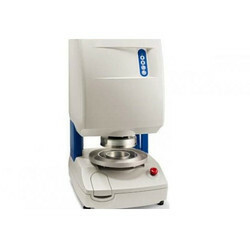 Cone Plate System that's perfect for Q.C.The CAP 1000+ Viscometer is a compact, heavy-duty instrument that is ideal for fast, easy, repetitive testing on the production floor or in the QC lab. Small sample size is a plus, along with integrated temperature control built into the sample plate. 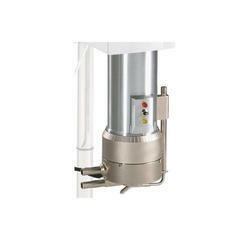 Wells-Brookfield Cone/Plate Digital Rheometers are now supplied with an advanced Electronic Gap Setting feature. This technology allows faster set-up time and minimizes the possibility of gap adjustment errors. Automatic Mode: Fully automatic test - ensuring reliability and consistency of results - ideal for repeatable and reproducible testing. 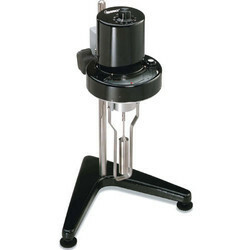 Once the sample beaker is positioned on the support, and the ‘Start’ button is pressed, the drive head automatically moves down until the spindle reaches the correct position within the sample. After a pause to let the sample settle, the Elcometer 2250 begins the test and displays the viscosity value. Once the test has been completed, the head automatically returns to the start position allowing the sample to be removed. 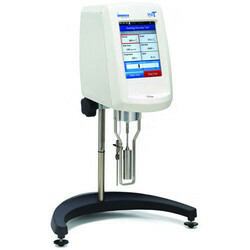 Manual Mode: The Elcometer 2250 can also be used manually - ideal for measuring using non-standard sample sizes. Rapid Determination of Absolute Viscosity for Small SamplesThe Wells-Brookfield Cone/Plate Viscometer/Rheometer gives researchers a sophisticated instrument for routinely determining absolute viscosity of fluids in small sample volumes. Its cone and plate geometry provides the precision necessary for development of complete rheological data. 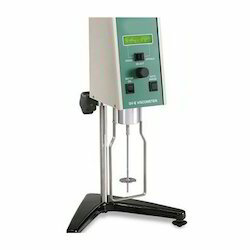 The Wells-Brookfield Cone/Plate Viscometer/Rheometer is a precise torque meter which is driven at discrete rotational speeds. 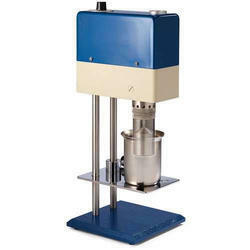 The torque measuring system, which consists of a calibrated beryllium-copper spring connecting the drive mechanism to a rotating cone, senses the resistance to rotation caused by the presence of sample fluid between the cone and a stationary flat plate. Wells-Brookfield Cone/Plate Digital Viscometers/Rheometers are now supplied with an advanced Electronic Gap Setting feature. This technology allows faster set-up time and minimizes the possibility of gap adjustment errors. With the enhanced system, a bright LED lights up when a hit point is achieved. A simple turn of the micrometer adjustment ring and the gap is set, reducing the time required associated with manual detection methods.